Ask any rugby union pundit before the 2019 Six Nations and they would have told you that Wales and England's meeting at the Principality Stadium would be to decide an honourable second place. But Ireland's defeat on the first weekend of action means that getting a Wales vs England live stream now means you'll be watching the only two teams left who can secure a Grand Slam. It's too exciting to resist! The hosts are riding high on a record-equalling eleven game winning streak dating back almost a year. Wales have already dispatched France, thanks to a heroic second-half fight back, and coasted past Italy. Now they play the old enemy on home turf, looking to pick up a first victory against England in nearly four years. Expect a fresh-looking XV from their last game a fortnight ago, as coach Warren Gatland seeks to outwit opposite-number Eddie Jones. England couldn't be coming into this Six Nations encounter on better form either, after a hard-fought win on Irish soil and then swatting aside the French at Twickenham. Manu Tuilagi has made a huge impact in midfield and captain Owen Farrell continues to pull the strings. But there will be some concern at having picked up a few injuries, with the influential Maro Itoje and Mako Vunipola both sidelined. 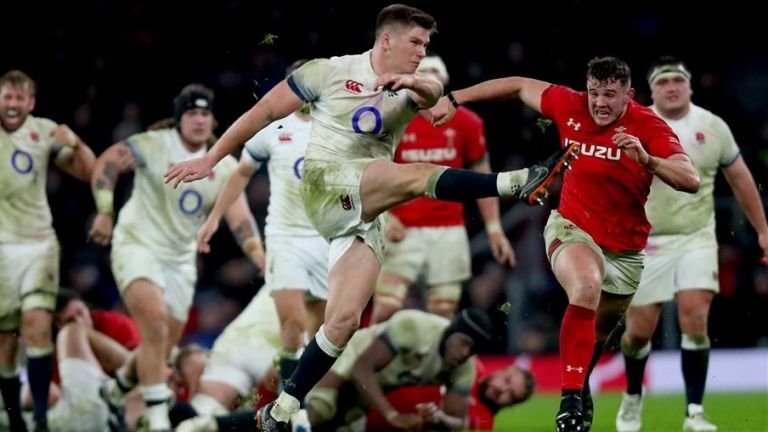 Today's match - which kicks off at 4.45pm GMT – is looking like the irresistible force meeting the immovable object and you can watch every last minute of the Six Nations clash on the BBC. If you're out of the country, however, and find that the coverage is region blocked where you are, we have a nifty solution that will allow you to watch a Wales vs England live stream without interruption and absolutely free. The good old BBC has the rights to this huge Six Nations match-up (the last two England games having been on ITV). Coverage starts on BBC One at 4.15pm immediately following France vs Scotland, so it's easy to watch assuming you have a TV Licence. Of course that also means that the iPlayer app comes into play as well – so super handy for watching on streaming devices, tablets, mobile phones, laptops and smart TVs. If you're outside the UK this weekend, you'll find your access to getting a Wales vs England live stream on BBC iPlayer impeded by a geo-block. But fear not... there's a very simple way to get hold of the UK live stream. The trick is to download and install a VPN, which then allows you to change your IP address so you appear to be in a completely different location. We've tested hundreds of VPNs and can recommend Express VPN as the best option currently available. Express VPN is the #1 rated best VPN in the world right now thanks to its speed, security and ease-of-use. You can watch on many devices at once including Smart TVs, Fire TV Stick, PC, Mac, iPhone, Android phone, iPads, tablets, etc. Possibly the best thing is that ExpressVPN comes with a 30-day money back guarantee. That means you can try it out for a month (including to live stream Six Nations rugby) to see if you like it and then cancel before paying a penny. Then if you do decide to sign up to an annual plan, you currently get an extra three months FREE. This is incredibly easy to do. Open up your chosen VPN (Express VPN or one of our other recommended best VPN services) and go to 'choose location' (this may differ from VPN-to-VPN, but will be called something like 'locations' or 'servers' – it should be pretty obvious). Then select any location in the US - ExpressVPN alone has six UK locations, and it shouldn't matter which one you pick. We're big fans of TVPlayer – a robust, free and legal streaming website that hosts all of the UK's freeview channels. After following step 2 above, your computer, phone or streaming device will now think it's in the UK. So you can live stream the rugby as if you were back at home, even if you aren't physically located in the UK this weekend. Where else is live streaming Six Nations rugby? Despite only hosting games between six rugby playing countries in Europe, the Six Nations is shown worldwide. You can check out exactly where on the Six Nations website - we've picked out the broadcasters in some rugby-loving Englsh speaking countries below. The easy bit is knowing that subscription service beIN Sport is the place to watch every Six Nations match Down Under – the hard bit is getting up in time to watch the matches! The cost is $19.99 and $19.78 per month respectively, and there is a two week FREE trial in both territories. Streaming service DAZN continues to embolden its reputation is a premier world sports broadcaster having obtained rights to the Six Nations rugby. It costs $9.99 per month, but the first month is absolutely FREE. The Rugby Pass has established itself as the way to watch rugby union in countries where it is less fashionable - the US being a prime example. It costs a one-off payment of $69.99, but from there you'll have access to Six Nations, Premiership and Heineken Champions Cup matches.